A key lever for change in any sector, is the capacity to challenge current thinking about a problem or situation. The Engaging Young Leaders on Aged Care and Community Boards 10th Unconvention ‘Disruption in the Board Room’ aims to do just that. We are bringing Board Directors, CEOs, Senior Executives and academia together to improve Board governance in the not for profit sector. 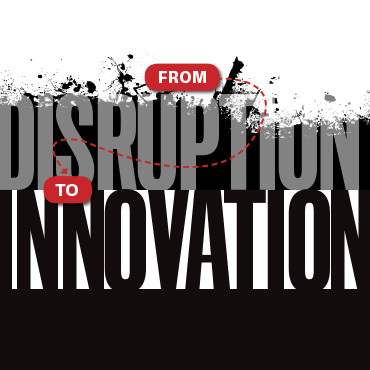 We know that organisations need to innovate to survive, but do we really need to disrupt? Governments at both the State and Federal levels are disrupting the aged care industry and community services sector. To set up for success we need to continuously reinvent our organisations in light of new technologies, new entrants into our markets and new customers wanting different services and products to meet their changing needs. This Unconvention explores how to think like a disruptor so your NFP board and organisation is not left behind. You will meet change makers including Jahna Cedar who will share with us her take on ‘Leading in Uncertain Futures’ and Robert Gordon who will speak on ‘How Boards can Disrupt the Disruption’. In addition you will have the opportunity to meet the winners of our Difference Makers Diversity Award winners, Justine Colyer, CEO, Rise Network and Swancare Chair, Etta Palumbo, listen to how you can create a diverse board. You will also have the opportunity to be part of an industry innovator breakout discussion. 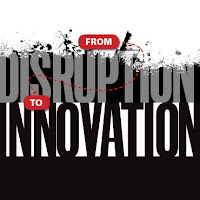 Innovation and disruption - some argue they are two sides of the same coin – others argue that disruptors are innovators, but not all innovators are disruptors. As leaders we need to position our organisations and we need to be smart and ambitious in recognising disruption is inevitable. We need to innovate and adopt the practice of disruption as a strategy so we learn and work through how to manage it. To do this we need to be learners, we need mentors, people who will inspire us, coach us and we need boards that support and challenge us. We need to create teams tasked with being ‘disruptive ideas makers and innovators’. Wow this is definitely a new concept not a lot of people talk about, and I was also unaware of disruption in board rooms as a thing, good to know typical innovation techniques are changing, great post!